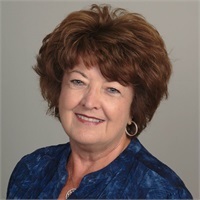 Mavis Barnett handles Individual Health Insurance and Temporary Health plan sales. She was formerly our Group Benefit Specialist before joining the ranks of the semi-retired and has over 26 years experience in the health insurance industry working with both Aetna and United in the past. Mavis joined us in May 2004 to work with our clients on health insurance and group benefits. Some of her job duties with Aetna and United included reviewing medical/surgical records, re-considerations and appeals of health/dental claims, insurance commissioner complaints, training and assisting her supervisor. She currently holds the Florida 2-15 Life, Health licenses. Mavis was born and raised in a small town in the Panhandle of Florida (a Native Floridian) and moved to the Tampa area in 1971 after marrying her high school sweetheart. They selected Tampa, as her husband Tom, had been stationed at MacDill AFB. After falling in love with Tampa, they decided to make it their permanent home. They love to spend their time traveling in their RV and spending time with their three children, five grandchildren and two great-grandchildren..